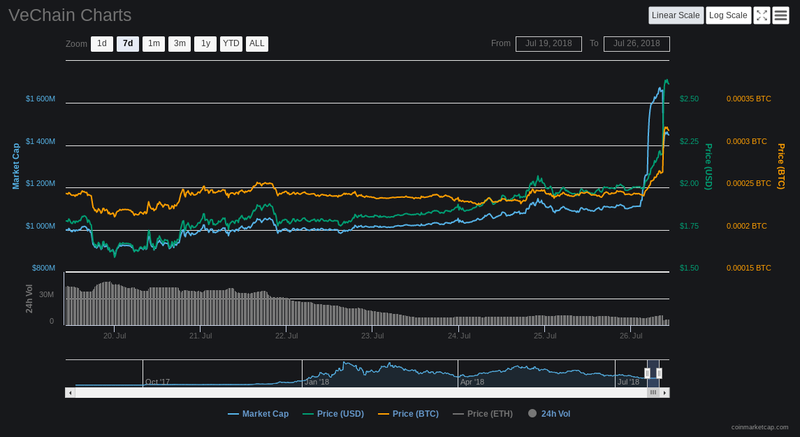 VeChain’s price has spiked in a matter of hours, largely due to a surprise announcement from leading cryptocurrency exchange Binance. At time of publishing, VeChain is up about 24%, at $2.45 on CoinMarketCap. The spike happened as Binance revealed an airdrop of 100 million VTHO for customers who hold VeChain. VTHO is essentially the currency of the new VeChainThor blockchain, similar to NEO’s GAS token. The airdrop will happen for all users who hold VET on the exchange by August 1st, and the tokens will be handed out on August 5th. The total market value of all 100 million VTHO tokens that will be given away is currently around $3 million. 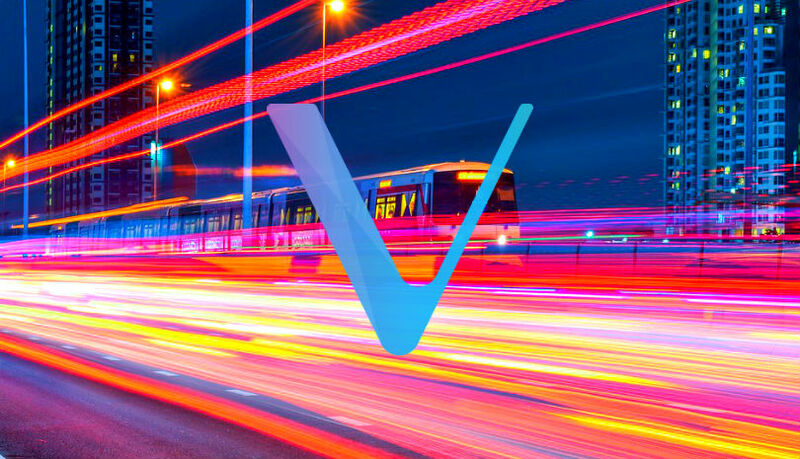 VeChain successfully launched its mainnet last month. The startup is based in Singapore and aims to offer blockchain services to a variety of enterprise companies, targeting supply chain logistics, government affairs, vehicles, digital IDs, IoT and more. You can take a look at VeChain’s revised whitepaper here.